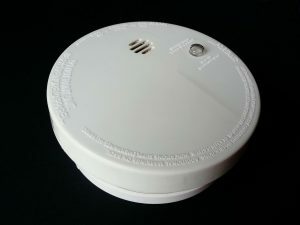 Working smoke detectors are important to keeping home insurance costs down. If you’re looking to save on home insurance, you’ll want to work with the best professionals to find the right policy. But beyond that, there are things you can do to both keep save on home insurance and keep your home safe in the first place. Keeping your smoke alarms in good working order can save not just your property, but your life. But often, people just don’t seem to understand that, Michael Newcomer of Novel Insurance tells U.S. News & World Report. Disasters happen and that’s why there’s home insurance. But you can do more than just pay your premiums on time to protect your home from the worst that nature can throw at you. “You may be able to save on your premiums by adding storm shutters, reinforcing your roof or buying stronger roofing materials. Older homes can be retrofitted to make them better able to withstand earthquakes. In addition, consider modernizing your heating, plumbing and electrical systems to reduce the risk of fire and water damage,” according to the Insurance Information Institute. As the Internet of Things becomes more intimately tied to such home systems as heating and cooling, the danger posed by malicious hackers increases. Be sure to protect yourself from those dangers.